In this article we can explore about Composed Looks which is a new feature in SharePoint 2013. In SharePoint 2013 there is another Themes link which is actually a library for storing color palettes and font palettes. The meaning of theme is different comparing SharePoint 2013 and older versions. For creating a new composed look, please follow the steps below. Click on the Composed looks link. You will get the following page. Click on the new item link. You will get the following page. 6. Font URL which can be copied from the Themes link. Once a composed look is created, you can see the same in Look and Feel link. In this article we have explored Composed Look creation. In this article we can explore more about the Color Palette Tool. Color Palette Tool provides a graphical user interface for editing colors in a color palette file. After installation you can open it from start menu. There are 89 color slots for a SharePoint Color palette. In the default view colors are grouped as Buckets. Bucket is a grouping base on same color. Clicking on the color button we can get the color dialog. Towards the right bottom Color Preview Slots are available. The colors selected here will be displayed in SharePoint color palette drop down list. We can choose a layout from the preview pane. We can quickly create a new theme using the recolor option. Click on the color picker icon. Choose the color from color picker and click the Recolor button. You will get a new theme based on the color selected. Once the new color palette is created we can save the changes into a .spcolor file using File > Save menu. Following is the content of the .spcolor file. For installation of color palette see references section. In this article we have explored the Color Palette Tool. In this article we can go through Security Trimmed Control without using any custom code. While building SharePoint user interface controls, we need to security trim some controls based on the current user’s permission. The assembly Microsoft.SharePoint.WebControls contains control named SPSecurityTrimmedControl which performs the security trimming of the child controls inside it. Just include our control inside this control and it will be displayed or hidden based on the permission specified. Following is the code of Security Trimmed Control. You can add this to a web part design code. Following are the permission requirement for each buttons. Following is the code for the same. You can create a Farm Solution and add a Visual Web Part into it. Build & Deploy the project and add the web part to a page. You need 2 user accounts to test this. The first user account be the System Account and the second user as the test user. I recommend using 2 different browsers – one for changing the permission as system user & other for viewing the page as test user. Following is the page output when the test user is given Full Control permission level. He can see all the 3 buttons. Following is the page output when the test user is given Contribute permission level. He can see only the second 2 buttons. Following is the page output when the test user is given Read permission level. He can see only the third button. Using Security Trimmed Control can save lot of code require otherwise. In this article we have explored the Security Trimming Control in SharePoint 2013. I hope this will be helpful in real world scenarios. In this article we can explore a problem raised by using Note Board web part and the solution for it. Note Board web part can be associated with any page. The web part allows comments to be typed by the user. Problem arises when a deleted page is recreated with same name; the old comments also got restored. The internal class name for Note Board web part is SocialCommentWebPart. SharePoint store the comment information in Social database along with the page URL. We need to delete the comment from the database. For this we have to use the SocialCommentManager class. Another challenge is there is no public method to delete the comments. We have to use reflection to call the private method. Following is the code which performs the same. You need to input the URL and a reference site object. After running the code I can see the comments are deleted for the given URL. You can connect the deletion code to a custom event handler for your list/library. In this article we have explored how to delete the comments of a Note Board web part. Please see the console application code attached. In this article we can explore how to create a color palette & deploy it. A Color Palette is a combination of colors used in a SharePoint site. Each Master page contains multiple elements with color-names. A color palette contains color values for these pre-defined names. A Color Palette has the extension .spcolor. Following is the content of a sample .spcolor file. The color palette file resides in the root site collection themes folder. You can access the location from Site Actions > Site Settings > Themes page. Following is the Themes page. You can open the themes gallery > 15 hive folder > download an existing .spcolor file. Later modify the color values according to your need. You can open the themes gallery > 15 hive folder > choose new document. In the appearing dialog choose the new spcolor file and upload. Once uploaded, you can see the new palette in look and feel page. We can open the .spcolor file in notepad & edit the color hex values. Alternatively, there is a very good tool named Color Palette Tool which provides a graphical user interface in editing colors. Please find my other article on using the same. Please note that the themes folder also contains font files. In this article we have explored color palette and deployment. In this article I would like to explore the Community Site Portal template of SharePoint 2013. What is Community Site Portal? Community Site Portal is a template that lists all community sites underneath it. What are the steps to create Community Site Portal? Choose the Create site collections link & select the template as shown below. Fill the remaining properties & click the OK button. You will get the site collection created. We can access community settings from the Site Actions > Site Settings > Community Administration link. From the newly created site collection, choose Site Actions > Site Settings > Manage site features. Activate the Community Site Feature as shown above. Prior to this you might need to activate the following site collection features. Now we are ready to create sub sites underneath it choosing the Collaboration > Community Site template. Create few sub sites like this under the site collection. The Community Portal template is only available for site collections. So we need to use Central Administration or PowerShell to access the template. In this article we have explored Community Site Portal template. I tried the following options & did not worked. In the appearing page > Term Store Administrators box enter the current user. Save changes & Retry again. You should not be seeing the error again. Error: The content database in this cluster are full. You cannot add more Web sites until you change the content database Web site capacity settings or add more content databases. While creating a new site collection, I receive the following error. Error: The content database <dbname> in this cluster are full. You cannot add more Web sites until you change the content database Web site capacity settings or add more content databases. You will get the following page. Identify your database name from the error & click on it. In the appearing page increases the count of sites to 2000 & 5000 respectively. The first count is Warning value & second for Max value. Save Changes & Try creating the site collection again. The error should disappear. In this article series I will take you through the Branding essentials of SharePoint 2013. Few of the branded sites are shown below. What are the Skills needed for Branding? You need to know HTML, CSS & Basic Scripting skills. Additional to that, SharePoint Branding knowledge is an essential skill to integrate the custom branding artifacts. · Master Page elements like Site Settings, Quick Launch etc. Do I need to be a Graphics Designer? Not Needed. You can be a SharePoint Branding Expert who will work with another Graphics/Web Designer for collecting the HTML, CSS, Image files & integrating to SharePoint. What are the new features of SharePoint 2013 supporting Branding? 3. Composed Looks for putting together branding elements like master pages, color palettes etc. 4. Look and Feel to apply a composed look, change color, background image etc. You can access these pages from Site Actions > Site Settings menu. Publishing feature needs to be activated for getting the Design Manager feature. What are the Branding Elements in SharePoint 2013? 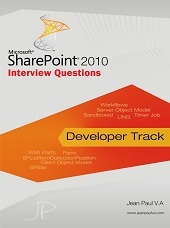 What is Theme in SharePoint 2013? The term Theme is defined to group the color & font palettes. You can access the same from Site Actions > Site Settings > Theme page as shown below. In this article we have explored an overview about SharePoint 2013 branding. SharePoint 2013 has a new CSR (Client Side Rendering) support through the JS Link property for web parts. JS Link is a property available for web parts. We can specify a client side script file here. The scrip will be executed once the page gets loaded; on the client side. How to set the JS file? Open a list or library and choose Edit Page > Edit Web Part option. Open the Miscellaneous tab and you will see the JS Link. You can set your client side script file for this property. We can use the pre-defined ~sitecollection for accessing the site collection path. In this post we have explored the JS Link property and its usage. I hope this will help you take advantage of the SharePoint 2013 features.